Brattle Arms apartments for rent in Cambridge exemplify our mandate to restore and renovate historic Cambridge MA apartments to their original glory. The seven story apartment building includes an elevator, fitness room, and laundry room. Located in the heart of Harvard Square, close to famed Harvard University and MIT, and within easy reach of shops, dining, public transportation, and the Harvard Square T stop, this Cambridge MA apartment offers one- or two-bedroom apartments for rent. Each apartment includes free heat and hot water, low-flow faucets and other energy-saving features, and is covered by our 24 hour maintenance response and 30 day customer service guarantees. Apartment rental can even be paid online. 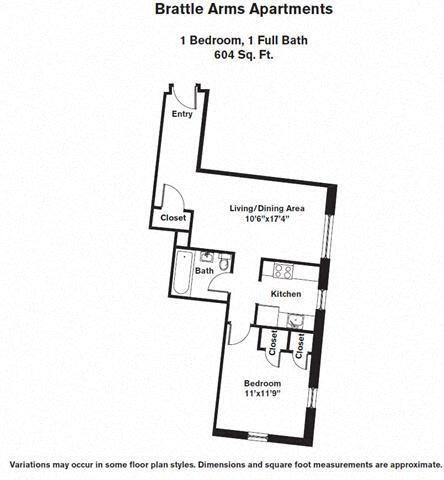 If you’re looking to make a move, there’s a Brattle Arms apartment for rent in Cambridge to suit your needs. Our Brattle Arms Apartments in Cambridge, MA are situated within a vital neighborhood truly bustling with the hum of intellectual and cultural activities, mere steps from Harvard Square. The apartments exemplify our mandate to restore and renovate historic Cambridge, MA apartment rentals, coupled with a superior team of apartment building managers. 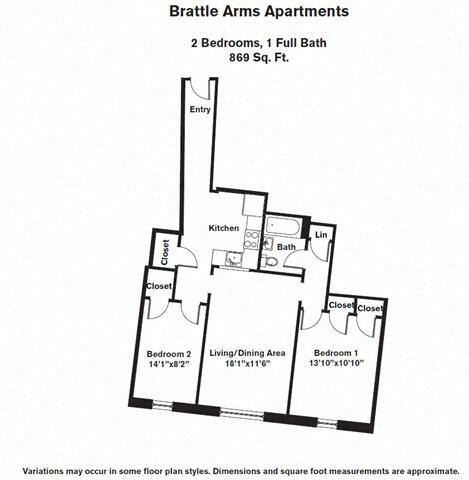 Our Brattle Arms apartments are not only well located within the heart of Cambridge, northwest of Boston, but are also a modern and eco-friendly apartment building with all of the features that our residents have come to expect. The seven story building includes an elevator, fitness room, and laundry room. Located on the edge of Harvard Square, close to famed Harvard University and MIT, and within easy reach of shops, dining, and public transportation, Brattle Arms is an apartment rental easy to love and hard to leave. Chestnut Hill Realty strives to combine not only the best in apartment rental living based not only on location, but also on service. Employing a staff of trained and professional managers and maintenance personnel, we offer a level of service far beyond that of a "typical" Cambridge, MA, apartment building. Instead, we provide services like a 24-hour maintenance response guarantee and the ability to pay rent online. And did we mention our passion for the environment? By installing amenities like low-flow faucets and energy-efficient appliances, we not only save our Cambridge, MA, apartment residents money, but also help do our part to preserve the planet. This Cambridge, MA, apartment building offers our residents exceptional service, guaranteed maintenance, a superior location, and the peace of mind that comes with living in an eco-friendly community. Living here has been a dream. You can't get any closer to the conveniences of Harvard Square. The facilities are always maintained well and CHR has been very accommodating and responsive when we had questions or concerns.